I am about to treat myself a nice long weekend in Copenhagen, and I figured it would be great to share with you how I use pCloud when I travel. Staying on top of organizing a trip can be hard. 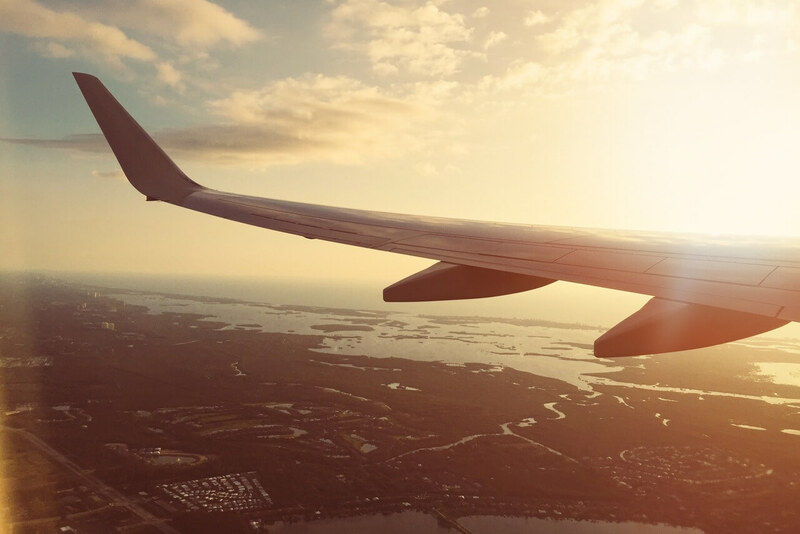 It doesn’t matter if you’re traveling within the country or abroad, or if you going on a business trip or taking a vacation – there’s just too many details you need to sort out. This is why I like to keep a detailed log of everything related to my travels, and I do that with the help of pCloud. Here’s how. The first thing I do before a trip is to create a folder in my pCloud account. I use a simple naming system – the folder has the name of the city/country I’m visiting, followed by the date of the trip. If the logistics are more complicated, I may create sub-folders for easier navigation. For example, if I’m covering more than one country on the same trip, I have separate folders for each leg of the trip. Alternatively, you can make one folder for the hotel details, another one for tickets and boarding passes, etc. More often than not, people today use e-tickets that are sent to their email inboxes. I like to save a screenshot of my booking and of the ticket itself just in case. I also save copies of all my boarding passes in pCloud in case I can’t access my boarding pass from my email. I am not an impulsive booker. I like to look around before committing to an accommodation option. This is why I usually start looking early and I bookmark the different hotels, vacation rentals or Airbnb listings that I like. To save everything in one place, I simply create one text document with the links to these places, then go over them again, and after that I reserve a room or an apartment. This is super useful when I’m traveling with other people – as soon as I’m done with the shortlist of hotel options, I simply share a download link with my companions, then we select together where we’re gonna stay and book. Afterwards I usually delete the list of potential hotels to eliminate clutter and make it easy to find everything else in the folder. Then I save a copy of my hotel reservation. Then I mark my route from my point of arrival (train station, airport, bus station, etc.) 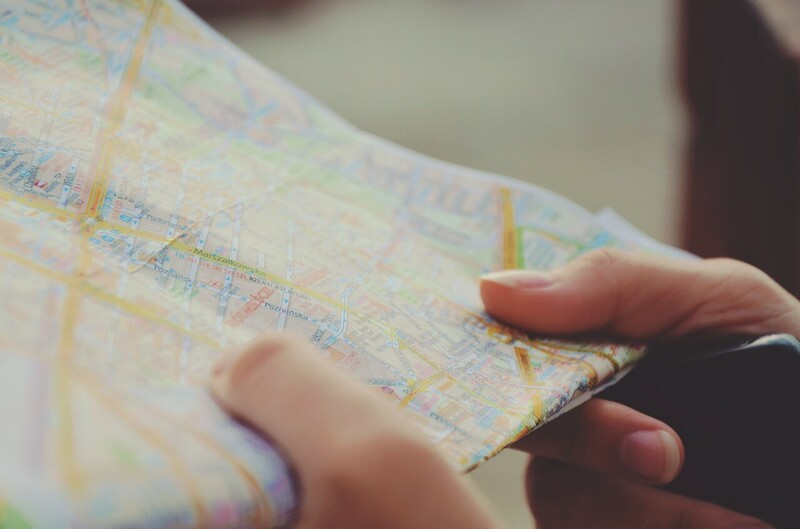 to the hotel on a map – and save a copy of that map. Depending on how complicated the route is, I may also save a simple text file with directions (some people like yours truly are just better with textual instructions rather than reading a map, go figure). Many bus and train companies have their timetables available for download as PDF files for example. This may seem like an unnecessary step but things happen and trains are missed so it’s always good to know when is riding the next train to the airport. If you are a scatterbrain like me, chances are you forget quite a few items when you pack. Whatever I do, I would always leave behind an important thing like my hairbrush, or my Kindle charger, or my flip-flops, and so on. This is why I have developed a useful habit: I make checklists for my luggage. I make note of all the essentials that I need to put in my suitcase. And so on, and so on. These lists can get quite long. Once the bare basics are sorted out, I move on to giving myself as much comfort as possible. I make sure I have my travel pillow with me, and I charge my Kindle. The battery life of the Kindle is not too long, though, so I usually put a book or two in my pCloud account too. You know, just in case I forget to charge my e-book reader. Then I put some music on my phone, organize it in playlists, and sync it for offline access so I can listen on the plane. None of the other mainstream cloud storages allow you this option, so yay pCloud! Losing your hotel keycard on a trip can be a mild inconvenience. Losing your ID and passport can be a real nightmare. What I’m trying to say here is, DON’T LOSE YOUR PASSPORT, okay? I try really hard not to do so, and I keep copies of my ID card and my passport just in case. In fact, I keep them in my Crypto folder for additional security (in case you’re not familiar with pCloud Crypto – it’s kinda like a safety box or a bank vault for your digital valuables). Once you have all your reservations, maps, boarding passes, tickets, routes, checklists, document copies, and so on, make sure that you sync the folder on your computer and/on your mobile pCloud app. This is an important step because you’ll probably need them in situations when you’re not connected to the world wide web – and when they’re synced (of favorited in the mobile app), you can open them even if you’re not connected to the net. 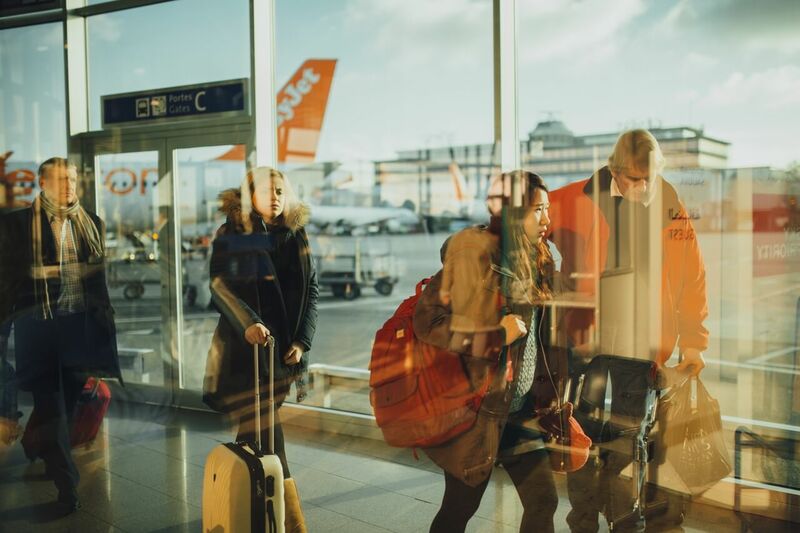 We all know how flaky airport networks are, and it’s best that you have your hotel booking number handy when you arrive at the reception desk. Lately I don’t take my bulky camera with me that much – I realized that even when I bring it on a trip, I shoot mainly with my phone. Either way, I usually take a lot of pictures – and I think the same goes for most people. Especially if you’re traveling for fun and not for business! This means that I quickly run out of space on my phone and/or camera SD card. As a rule of the thumb, I set apart some time to upload the photos from my camera every night when I’m away, and I turn on the Automatic Upload functionality of my pCloud app. (Our mobile app is available for iOS, Android and Windows 10 Mobile.) This feature lets you select if you want to upload on cellular data or only when you’re connected to a WiFi network. I’ve disabled the automatic upload on cellular because data roaming is usually limited and/or expensive – but as soon as I get WiFi signal, I upload. Then I delete the photos that are uploaded to pCloud. If the purpose of your travel is leisure, you can skip this section altogether. I don’t recommend that you work when you’re on vacation when you can explore your surroundings instead. If you are on a business trip, though, you’ll probably have to work. 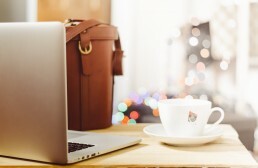 If you are not sure whether you’ll have internet access all the time, you’d better sync the work files that you may need on the business trip. That way you will not depend on the internet connection, and you’ll also be able to work on the plane as well. If you’re traveling on business, you probably need to account for all the expenses and submit your invoices and receipts. Here’s what I do: I snap a photo of every receipt or payment document I get and upload it to a subfolder in my pCloud folder for the trip. This way I can easily share the folder with our accounting team when I get back. I also use this subfolder as a “checklist” to make sure I haven’t lost or forgotten any of the original receipts our accountants bug me about. If you traveled on business, it may be better that you don’t share pictures from the trip – especially if you’ve taken the opportunity to party hard after a hard day of work. Let’s face it – no boss wants to see that they’re paying for you to have the time of your life and go to meetings hungover. If you’re going on a vacation, however, that’s an entirely different story. Use the opportunity to tease your friends with the snaps of the awesome places you went, all the pubs you crawled and every delicious local specialty you tried. And if you’ve taken my advice and you’ve uploaded all your photos to your pCloud, you can share your memories as soon as you’re back or even while you’re still traveling. It takes just a click to do so.